Product prices and availability are accurate as of 2019-04-19 04:14:02 EDT and are subject to change. Any price and availability information displayed on http://www.amazon.com/ at the time of purchase will apply to the purchase of this product. 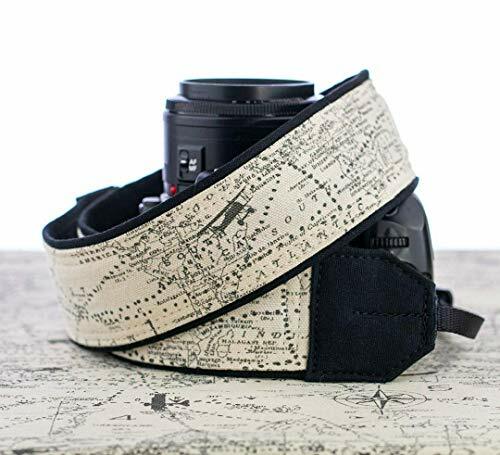 Perfect camera strap for any airplane buff with flight routes, map and planes in grey on a beige background. 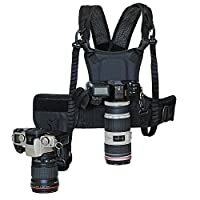 Fits dSLR, SLR or mirrorless cameras, does not fit most "point and shoot" cameras. All cotton fabrics and lightly padded for your comfort. Black backing is comfortable Outback cotton fabric making it durable and skin friendly. Sewn with heavy-duty UV resistant thread and all stress points are triple stitched. Reinforced with ultra-thin high strength nylon making it strong and flexible. Adjustable from 33-46" with a 30" fabric center section and 13-14" of 3/8" wide webbing on each end. 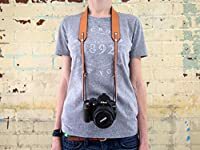 2" wide so it distributes the weight of your camera without digging into your neck or shoulder. Hand or machine wash and dry on cool. I do my best to show the actual colors, colors may vary slightly due to your monitor settings. 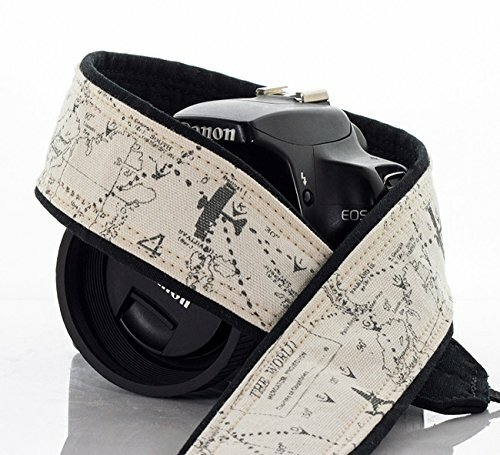 Due to random patterns on some fabrics, each strap may differ a little from the picture. Camera and accessories shown not included.